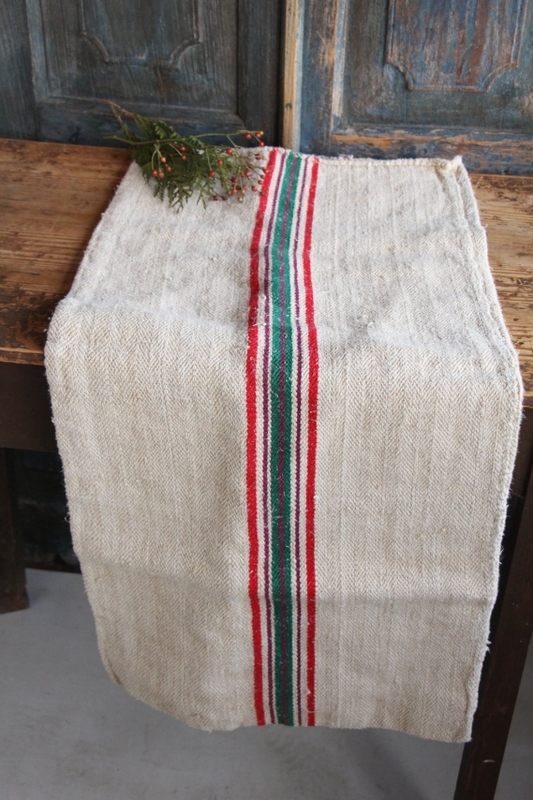 This fabulous, absolutely wonderful hand-loomed grain sack has a dense close weave with an amazing medium weight, very RUSTY and CHUNKY looking texture, and it´s so cushy and slubby. 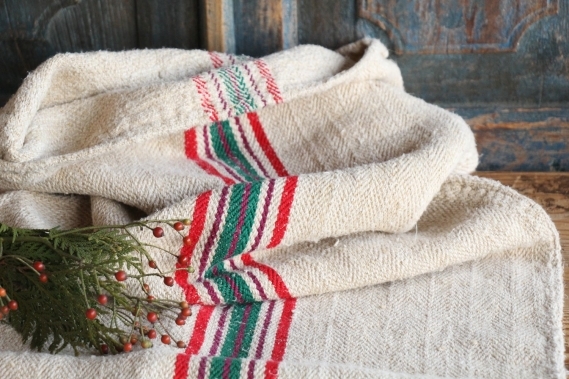 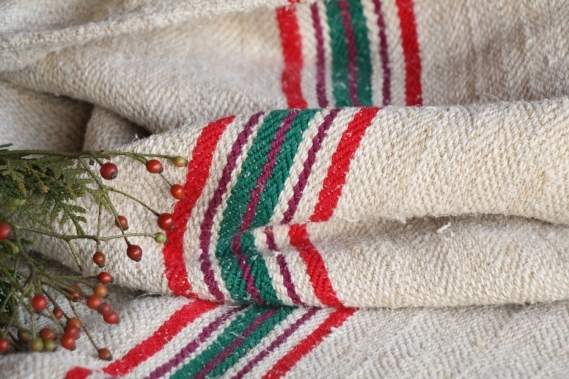 it has the most amazing CHERRY RED, MAGENTA RED and OPAL GREEN colored stripes, ., which is so decorative and the linen itself has a relaxed NATURAL CREAMY color. This one is just laundered, with a lovely smell, ready to use for your so unique projects. 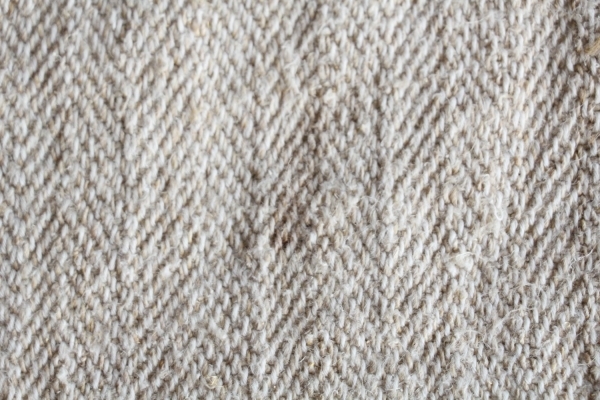 PLEASE NOTE: THERE IS A SMALL STAIN; which could be chemically treated, you can see it in the last picutre! 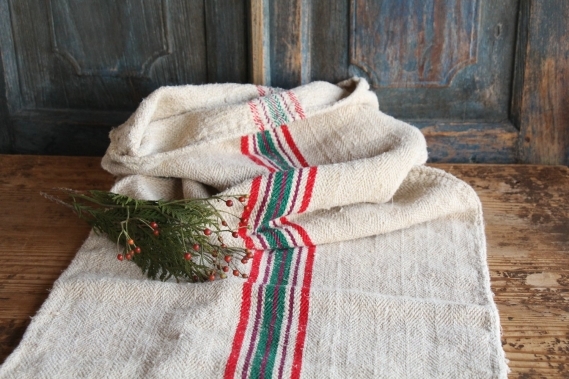 It is a handwoven old linen for about 100 years in a wonderful condition- it is really lovely, the stripes are highly decorative!!! 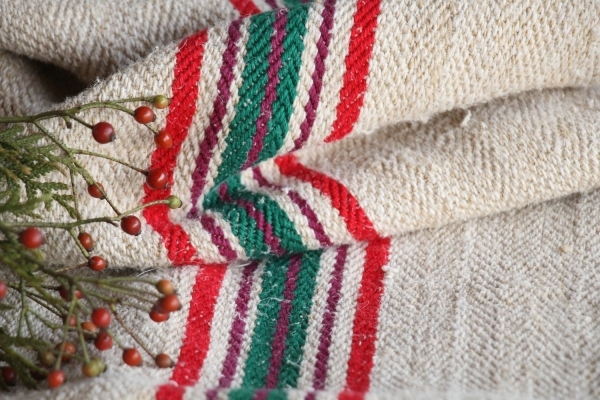 You can take it for clothing, bedding, bags, curtains, napkins...- its lovely to work with - with a little bit of phantasy you can create so wonderful things!! !